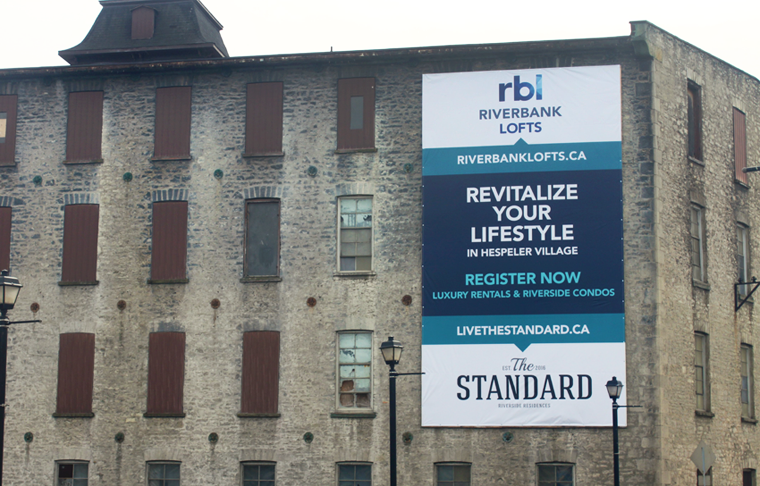 HIP came to Orchard seeking a re-brand to launch Riverbank Lofts, a planned condominium complex on the site of the former American Standard factory in Hespeler Ontario. After a previous failed attempt by another developer, it was Orchard’s goal to successfully bring this project to market and make it a reality. Orchard retained the existing brand, Riverbank Lofts, both to assure public of the projects continuation and also because it is a fitting locater and tone-setter for the project. 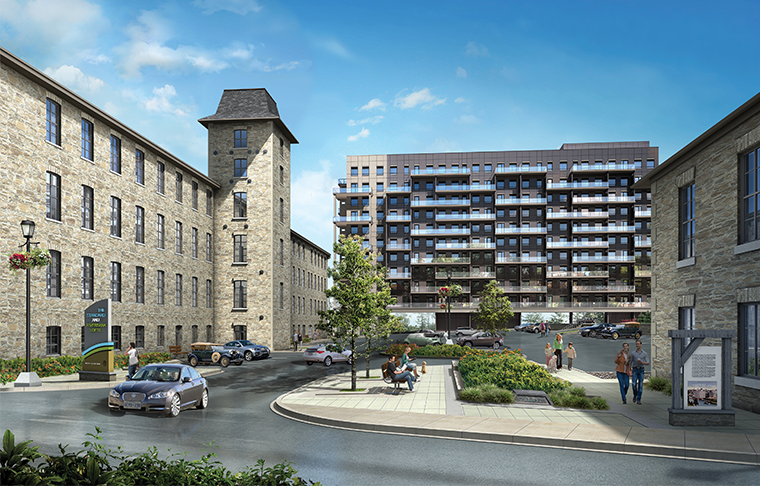 It was Orchard’s recommendation to launch the second rental tower under a separate identity and pay homage to the former factory, therefore developing The Standard. 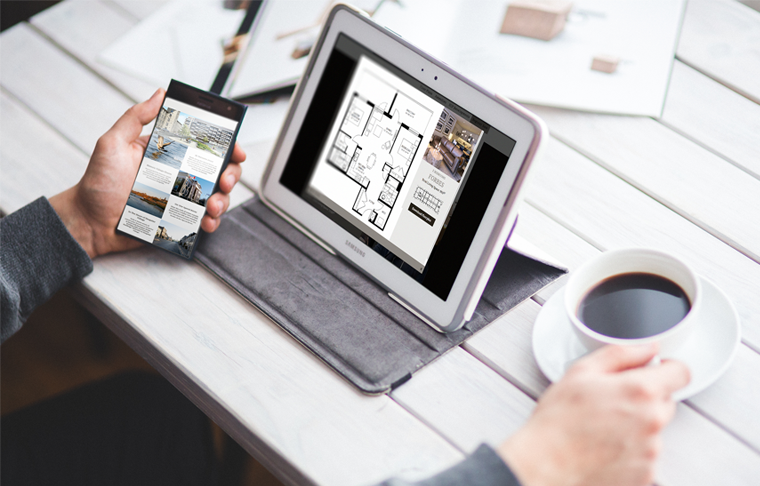 The two brands were brought to public knowledge simultaneously through media, eblast campaigns, site boarding and promotional events in Hespeler Village. 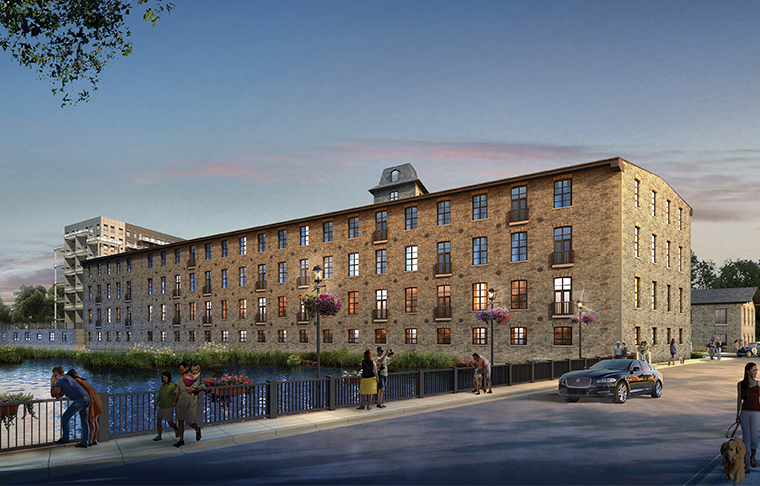 The mission was to reintroduce the project, but also emphasize the reinvented vision, the reinvented suite designs and the project’s potential to add to the ambiance and growth in old Hespeler. The public response was immediate. Those who were previously anticipating the project had a renewed interest, and the targeted marketing and advertising initiatives generated more registrations and inquiries. Set to be a jewel in Downtown Hespeler, Orchard anxiously anticipates the development of this project.